Overhanging arete to the opposite and 1m50 to the right of Le Pilier Droyer. 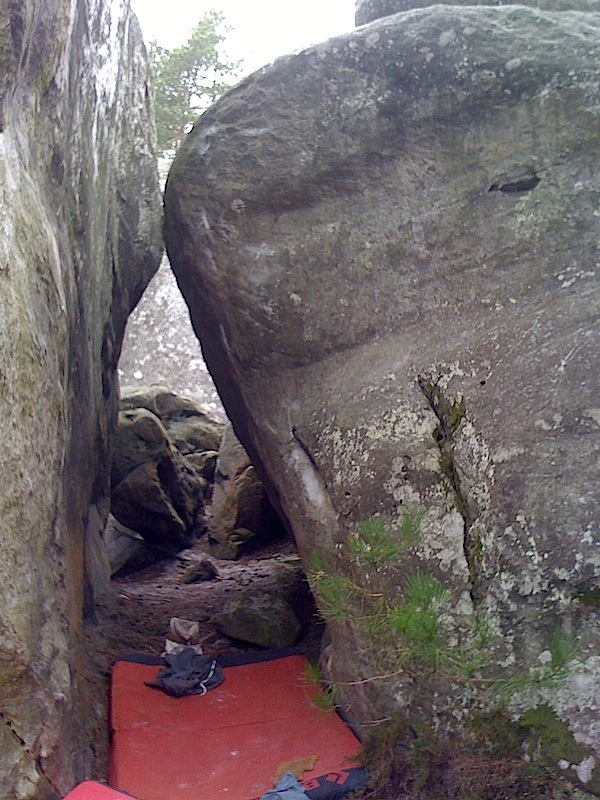 Sitstart in the corridor with a sloper right hand, climb the arete and exit by a mantle on slopers. NB : this problem, opened on November 16th 2012, has been dedicated to Patrick Edlinger.